If your camera can save photos in RAW format but you are saving in jpeg then you need to read on. 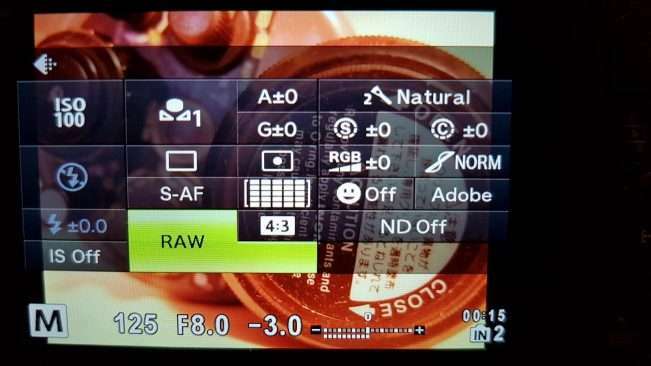 If you shoot in RAW but don’t know what to do next, then read on. If you don’t know whether or not you can save in RAW then check your camera settings – look for the menu item to do with the size images are saved as (or check your manual). Often, what you see on the small LCD display on the back of your camera and in your mind’s eye is so much more impressive than what appears on a larger screen afterwards. Straight out of the camera, RAW files can look a bit ‘flat’ – they haven’t had the in-camera processing which is applied in a generic fashion by your camera’s software when it makes jpegs. This can initially be a bit disheartening. But with a bit of tinkering, it is usually possible to get a RAW image looking far closer to how you remember the real scene was when you shot it than the camera is able to when shooting in jpeg. One of the great advantages of shooting in RAW is that you can fiddle with all kinds of settings after you’ve taken your photos. This non-destructive editing lets you rescue minor errors and improve your photos somewhat. First, this means getting your photos onto a computer and opening them in a post-processing programme (i.e. whatever software came with your camera, Adobe’s Lightroom or a free alternative). There, a daunting array of possibilities will present themselves. These will allow you to tweak your photos far beyond the levels required. So, it’s important not to overdo it, just because you can! The difference in appearance between a photo which has undergone the most basic post-processing and one which hasn’t can be huge. Once you have learned the basics of the software, for a tiny time investment per photo you can dramatically improve your end results. The photo of the lionfish above was taken several years ago, with a compact camera, with no lenses and no strobe (in natural light). It took less than a minute to process. Although there are limits, if you are just starting out in underwater photography, realising that many (although not all) images can be salvaged is important and motivating. If all you want is a few half-decent reminders of each diving trip then post-processing will make those mementoes brighter, clearer, more colourful and maybe even good enough to put on the wall. If you aspire to a higher level then post-processing will point to the areas you need to improve on, and you will start to realise how small changes in-camera could have given you even better results. In this series of posts, I will look at the most important of these basic processing steps. The first things to look at will be Exposure and White Balance (links will be added here when those posts go live – so check back). These are basic tips. If you want to dig deeper and get some real professional help then we recommend taking the advice of our accomplished authors: Paul Colley’s Winning Images with Any Underwater Camera (which includes his usual post-processing steps) is a book full of tips which will improve any aspiring underwater photographer’s end results. If you want to snorkel or freedive with a camera then the best place to start is Mark Harris’ Glass and Water.